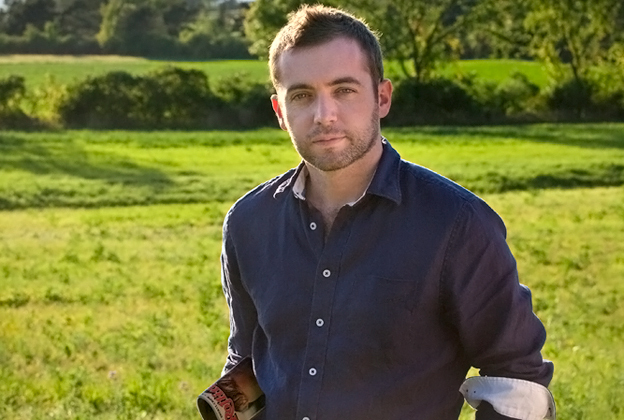 News of reporter and writer Michael Hastings' death at the age of only 33 has shaken the journalism community across the nation, as well as fans of the writer's hard-hitting reporting. And now, less than a day after the BuzzFeed and Rolling Stone reporter was killed in a fiery car crash, conspiracy theorists are speculating that there is more than meets the eye over Hasting's demise. Twitter, Facebook, and sharing site Reddit were abuzz Wednesday, with some users commenting that it was suspicious that Hastings, who famously brought down U.S. Army Gen. Stanley McChrystal in a Rolling Stone cover story, died while in the middle of covering several hot-button topics like monitoring by the National Security Agency and the CIA. Even the Guardian's Glenn Greenwald, who broke the original NSA spying story, wrote on Twitter, "Michael Hastings' final article was on Democrats & the NSA stories." Greenwald linked to Hastings' final story published on BuzzFeed, which was titled "Why Democrats love to spy on Americans." As the International Business Times notes, "some of the details surrounding the story [of Hastings' death] read like a poorly-written political thriller." For instance, Hastings' body has not officially been identified by the coroner's office because it had been so badly burned after it crashed on Hollywood's Highland Ave. at about 4:15am Tuesday. A call placed to the Los Angeles Coroner's office Wednesday afternoon was not immediately returned. Commenters to local news sites posted as many questions as they did possible answers. One user wrote on LA Weekly: "Makes you wonder if it was a real accident when you hear CIA?" Reporter Michael Hastings died in a fiery auto accident in Hollywood, Calif., on Tuesday, and conspiracy theorists are saying the journalist’s death could be a government hit. Another said, "Hastings' wreck might make sense on the freeway, but I doubt he'd be dumb enough to go 100 mph on Highland. He's not some dumb college kid." A community board on Reddit has already begun delving into possible conspiracy theories, from opinions that the car was either rigged to lose control or burst into flames at a certain time to brake wires being frayed. "A warning to other journalists to not dig too deep," one Reddit user wrote. "Stick with the party line if you want a long, happy life." BuzzFeed's editor-in-chief, Ben Smith, eulogized Hastings as an intrepid reporter who "was really only interested in writing stories someone didn't want him to write — often his subjects." Flowers and condolence notes are placed at a makeshift memorial Wednesday in Los Angeles at the crash site where award-winning journalist Michael Hastings died. Smith continued: "He knew that there are certain truths that nobody has an interest in speaking, ones that will make you both your subjects and their enemies uncomfortable. They're stories that don't get told because nobody in power has much of an interest in telling them." Hastings had also recently written a piece of CIA operative Andrew Warren, who became paranoid that he was being followed, as well as the Rolling Stone piece published in March titled "Killer Drones," talking about the austere measures of Obama's drone policy. As IBT notes, Hastings wrote in his book, "The Operators: The Wild and Terrifying Inside Story of America's War in Afghanistan," that he received a death threat from a former McChrystal staff member. "We'll hunt you down and kill you if we don't like what you write," the staffer threatened, according to Hastings, who calmly responded: "Well, I get death threats like that about once a year, so no worries." Hastings went on to say: "I wasn't disturbed by the claim. Whenever I'd been reporting around groups of dudes whose job it was to kill people, one of them would usually mention that they were going to kill me."